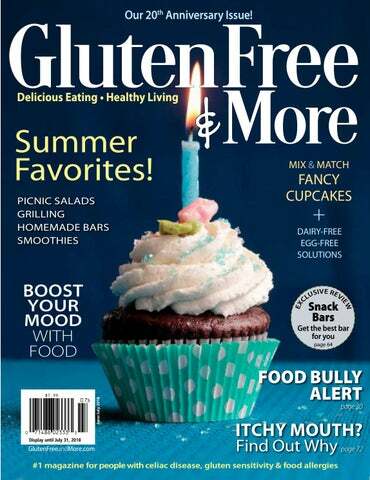 Gluten Free Our 20th Anniversary Issue! Morning Smoothies These easy breakfast drinks are delicious and creamy without dairy.  icnic Perfect	P Fun outdoor meals that say summer.  Chocolate Cupcakes Amazing mix-and-match cupcakes are worth celebrating.  inner Is Served	D Boost your mood with brain-healthy food.  Thrill of the Grill	A feast of flavor outside the bun. The Best Bars  e sorted through the snack aisles to W find the best you can buy. 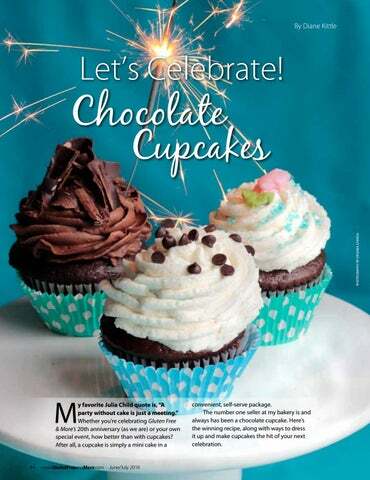 on the cover Chocolate cupcakes worth celebrating, page 44. GlutenFree Our 20th Anniversary Issue!  Healthy Homemade Bars Easy, tasty and budget-friendly. For practical information to make your life easier, don’t miss our Gluten-Free Survival Guides, pages 76–80. 28 Help! 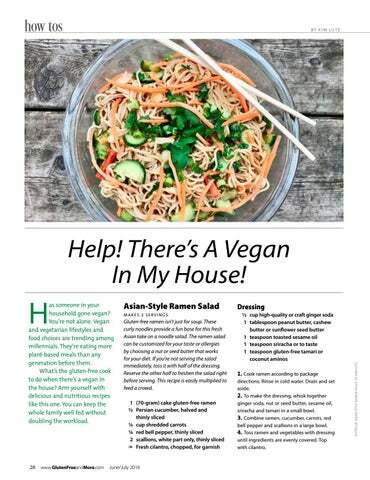 There’s a Vegan in My House! do to increase celiac awareness?” Here’s what you told us. your real life food dramas. Ask the Doc  Internationally   recognized celiac expert Dr. Stefano Guandalini on the changing face of celiac disease. 22 Food Insecurity  Let’s end hunger for those on special diets. Game Changers  These products will   make a difference in your life. 26 Don’t Miss This  New products we know you’ll love. Keep everyone happy and well fed without doubling the workload. Allergy Syndrome  The surprising 72 Oral link between food and seasonal allergies. Roundup  The latest medical  75  Research news for people with allergies and food sensitivities. Power  Pushing the frontiers 82 Pioneer of gluten-free living. FOOD BULLY ALERT page 30 ITCHY MOUTH? Mysterious New Meat Allergy Are YOU at Risk? products. That’s the biggest change for my family. Packaged bread has also made a big difference. Eleven years ago, my son wouldn’t eat gluten-free bread; it was that bad. Now he happily (too happily, at $6.50 a bag!) makes sandwiches and grilled cheese all the time. Beth Hillson  Not so long ago, I spent every weekend making homemade pasta, pizza crust and bread so my son and I could eat “normally.” Having store-bought pasta, pizza and bread has been life-changing. I used to feel like the women who, before washing machines, had to go down to the river to scrub their clothes. It’s that revolutionary to me! We change our name to Gluten Free & More. We’re so grateful for the progress—and for you, our readers. It’s truly an honor to serve this community. There’s a whole lot to celebrate. P.S. For our review of game-changing products, turn to page 24. Tell us your gamechangers and get the chance to win free gluten-free muffins from Pillsbury, page 13. Erica Dermer  My big game changer is the restaurants that make the commitment to have a gluten-free menu and train their staff to properly feed those of us with celiac disease, food allergies and sensitivities. FDA issues national guidelines for gluten-free labeling, making the world a safer place for people living gluten-free. No Gluten, No Dairy No Refined Sugar! Eve Becker  With the passage of FALCPA, the food-allergy labeling law, wheat was no longer a hidden ingredient—a huge relief. When my daughter was diagnosed in 2006, I drove almost an hour to a store for exclusively gluten-free food. When I got there, it was so small and depressing, I cried in the car. Good gluten-free food is now readily available—a huge change. Join the fun at our Gluten-Free Food Allery Fests. We may be coming to a city near you! For information, see page 35 and visit GFFAFest.com. Gluten Free & More strives to be your leading resource for a delicious life, lived well. Our recipes, created by chefs who are special-diet experts, are 100 percent gluten-free. Ingredient substitutions are provided (recipe permitting) for common food allergens like dairy, egg, peanut, soy and tree nuts. Our readership includes those with mild to severe non-celiac wheat sensitivity, people with celiac disease and individuals with mild to severe food allergies and intolerances. Products advertised and/or reviewed in these pages will not fit every reader’s individual dietary needs. Use advertised and reviewed products with full awareness of your specific food issues. Always read ingredient labels. When in doubt, contact the company directly. Our Mission Gluten Free & More’s mission is to be the primary and indispensable source of information, inspiration and support for people living gluten-free and those with celiac disease, food sensitivities and food allergies. Our goal is to help our readers live healthy, happy and abundant lives. Gluten Free & More is a lifestyle guide to achieving better health. It is written with your needs in mind but it is not a substitute for consulting with your physician or other health-care providers. The publisher, editor and writers are not responsible for any adverse effects or consequences resulting from the use of suggestions, products or procedures that appear in this magazine. All matters regarding your health should be supervised by a licensed health-care professional. Nutritional analyses of recipes are based on data supplied by the U.S. Department of Agriculture and certain food companies. Nutrient amounts are approximate due to variances in product brands, manufacturing and actual preparation. The acceptance of advertising in this publication does not constitute or imply endorsement by Gluten Free & More or Belvoir Media Group LLC of any advertised product or service. Gluten Free & More and Belvoir Media Group LLC accept no responsibility for claims made in advertisements in this publication. Subscriptions/Customer Service $36 (U.S.) annually to Gluten Free & More, P.O. Box 8535, Big Sandy, TX 757558535. Call toll free 800-474-8614 or subscribe online at GlutenFreeAndMore.com. Reprints Contact Jennifer Jimolka at 203-857-3144, jjimolka@belvoir.com. Minimum order 1,000. Attention Retailers Sell Gluten Free & More in your store. Contact us at shaggett@aidcvt.com for more information. Write to Us We want to hear from you. Send your comments, questions or concerns to Gluten Free & More, 535 Connecticut Avenue, Norwalk, CT 06854-1713 or e-mail editor@GlutenFreeAndMore.com. Send product samples to Gluten Free & More, 4351 N 36 Place #2, Phoenix, AZ 85018. 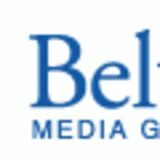 All submissions become the property of Belvoir Media Group LLC and cannot be returned to the sender. Submissions chosen ​for publication may be edited for length or clarity. Gluten Free & More (ISSN 2379-9323) is published bi-monthly by Belvoir Media Group LLC, 535 Connecticut Avenue, Norwalk, CT 06854-1713. ©2018 Belvoir Media Group, LLC and Gluten Free & More are registered trademarks. All rights reserved. Reproduction in whole or in part is prohibited. Printed in the U.S.A. Revenue Canada GST Account #128044658. POSTMASTER: Send address changes to Gluten Free & More P.O. Box 8535, Big Sandy,TX 75755-8535. Periodicals Postage Paid at Norwalk, CT, and at additional mailing offices. as someone in your household gone vegan? You’re not alone. Vegan and vegetarian lifestyles and food choices are trending among millennials. They’re eating more plant-based meals than any generation before them. What’s the gluten-free cook to do when there’s a vegan in the house? Arm yourself with delicious and nutritious recipes like this one. You can keep the whole family well fed without doubling the workload. 1. Cook ramen according to package directions. Rinse in cold water. Drain and set aside. 2. To make the dressing, whisk together ginger soda, nut or seed butter, sesame oil, sriracha and tamari in a small bowl. 3. Combine ramen, cucumber, carrots, red bell pepper and scallions in a large bowl. 4. Toss ramen and vegetables with dressing until ingredients are evenly covered. Top with cilantro. Help! There’s A Vegan In My House! 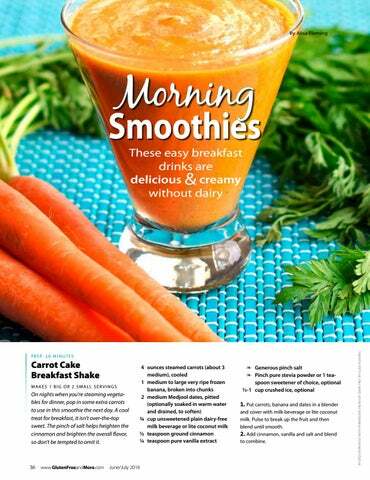 On nights when you’re steaming vegetables for dinner, pop in some extra carrots to use in this smoothie the next day. A cool treat for breakfast, it isn’t over-the-top sweet. The pinch of salt helps heighten the cinnamon and brighten the overall flavor, so don’t be tempted to omit it. 1. Put carrots, banana and dates in a blender and cover with milk beverage or lite coconut milk. Pulse to break up the fruit and then blend until smooth. 2. Add cinnamon, vanilla and salt and blend to combine. ummer and picnics go hand-in-hand and these fresh, portable recipes are just what you need for an easy, delicious meal outside. These salads need no meat or dairy ingredients—unless you want to add them—and they stay yummy when transported in a cooler. Slices of Lemon Pound Cake are a perfect solution for a no-fuss dessert—no plates or forks needed! Enjoy these easy recipes at your next outdoor gathering. This healthy, filling salad is delicious no matter what vegetables you choose to add in. Spice it up with your favorite salsa, green chiles and lime, to suit your taste. If you like it really hot, add a dash of gluten-free hot sauce when serving. When there’s no time to cook peas or lentils, try Hilary’s Eat Well Millet Medleys, available in your supermarket’s freezer section. They’re gluten-free and vegan—and already cooked. 1. Rinse split peas or lentils and place in a medium saucepan. Cover with water or broth and bring to a boil. Immediately reduce heat to simmer. Cover and cook 20 minutes or until peas or lentils are still somewhat firm but not hard (or according to package directions). Drain and set aside. 2. Place oil in a large skillet and heat skillet to medium-high heat. Add onion and sauté it until translucent. Then add asparagus, bell pepper and mushrooms and cook until just softened. Continue stirring and cooking while adding salsa, chiles, lime juice, chili powder, cumin, oregano and lime peel. Just before removing from heat, stir in tomatoes and cooked, drained lentils. Transfer mixture to a large bowl and set aside. 3. To serve, cover each plate with a bed of fresh spinach leaves. Top with lentil salad. Sprinkle with additional lime juice or garnish with lime wedges. Place chips on the side of the plate as an accompaniment, if desired. Each serving contains 149 calories, 4g total fat, 1g saturated fat, 0g trans fat, 0mg cholesterol, 86mg sodium, 22g carbohydrate, 8g fiber, 5g sugars, 7g protein, 7Est GL. 1. Wash potatoes and cut into bite-size pieces. Do not peel. Place in a large pot and cover completely with water. Add a dash of salt, if desired, and bring to a boil. Reduce to simmer and cook until potatoes are fork tender, about 15 minutes. Do not overcook. Drain potatoes in a colander and let cool. 2. To make the dressing, place mayonnaise, red onion, yellow mustard, relish, vinegar and sugar in a bowl. Stir until thoroughly combined. 3. Place potatoes, chopped eggs (if using) and dressing in a large salad bowl. Stir gently until combined and potatoes are evenly covered. 4. Cover and refrigerate until ready to serve. 5. Garnish salad with cracked black pepper, paprika and fresh parsley, if desired. Each serving contains 229 calories, 5g total fat, 0g saturated fat, 0g trans fat, 0mg cholesterol, 359mg sodium, 37g carbohydrate, 2g fiber, 5g sugars, 4g protein, 15Est GL. Each tablespoon of dressing contains 24 calories, 1g total fat, 0g saturated fat, 0g trans fat, 0mg cholesterol, 88mg sodium, 2g carbohydrate, 0g fiber, 1g sugars, 0g protein, 0Est GL. convenient, self-serve package. The number one seller at my bakery is and always has been a chocolate cupcake. Here’s the winning recipe, along with ways to dress it up and make cupcakes the hit of your next celebration. 1. Preheat oven to 350°F. Place cupcake liners in 24 to 25 cupcake tins. 2. Sift together flour blend, cocoa powder, baking soda, baking powder, salt and xanthan gum (if using). Set aside. 3. Place sugar in the large bowl of an electric mixer. At low speed, slowly add oil and mix until combined. Scrape down sides of the bowl with a rubber spatula. At medium-low speed, add eggs, one at a time, incorporating each egg into mixture before adding the next. Scrape down sides of the bowl with a rubber spatula. Add vanilla. Increase mixer speed to medium-high and mix well 2 minutes. Scrape down sides of the bowl with a rubber spatula. 4. Add half the sifted dry ingredients to the batter and mix on low speed to just combine. Slowly pour half the milk into the batter, mixing the batter gently to absorb the milk. Scrape down sides of the bowl with a rubber spatula. Add remaining dry ingredients to the batter and repeat the process, slowly adding remaining milk. Scrape down sides of the bowl with a rubber spatula. Specialty baker Diane “Dee” Kittle, owner of Dee’s One Smart Cookie in Glastonbury, Connecticut, has been contributing much-loved recipes to Gluten-Free & More for over a decade. Many of our all-time most popular cake recipes were developed by Dee over the years. These chocolate cupcakes, along with mix-and-match frostings and fillings, are her latest addition to our list of champions. We covered Dee in 2008 soon after she learned she had celiac disease after enduring years of illness, medical tests and multiple surgeries. To read Dee’s inspiring story, including her determination to create delicious bakery goods for those with celiac disease and food allergies, go to GlutenFreeAndMore.com/DeeKittle. 5. Increase mixer speed to medium-high and mix 2 minutes until batter is smooth. Scrape down sides of the bowl with a rubber spatula. 6. Transfer batter to lined cupcake tins with an ice cream scoop. Batter should come to within an 1/8 of an inch of the top of each cupcake liner for a nicely rounded baked cupcake. 7. Place cupcake tins in preheated oven, preferably on the middle rack, and bake about 25 to 30 minutes or until a toothpick inserted in the middle comes out clean. 8. When done, take cupcakes out of oven and let cool on a wire rack. Remove cupcakes from cupcake tins and proceed with filling, frosting and decorating, as desired. For Egg-Free Chocolate Cupcakes, omit 5 eggs. Combine 5 tablespoons flax meal with ¾ cup hot water; let sit to thicken at least 15 minutes. With a wire whisk, briskly whisk flax meal mixture by hand up to 1 minute. (This adds air to the mixture and significantly increases the volume.) Add this mixture all at once to sugar/oil combination in step 3 to replace 5 eggs. Proceed with recipe as instructed. Allergic to Flax? If you’re allergic to flax, use your favorite egg replacement instead of flax meal. Good to Know  I don’t recommend replacing more than 5 eggs in a recipe. It affects the structure of the batter. So if you want additional egg-free cupcakes, don’t double the recipe. Simply make it a second time. 2 cups brown rice flour, white rice flour or combination ¾ cup potato starch (not potato flour) ¼ cup tapioca starch/flour 1. Mix ingredients together until well combined. 2. Refrigerate in a tightly sealed container until used. Bring to room temperature before using. Each cup contains 576 calories, 3g total fat, 1g saturated fat, 0g trans fat, 0mg cholesterol, 8mg sodium, 129g carbohydrate, 5g fiber, 1g sugars, 8g protein, 87Est GL. Make Ahead  At my bakery, we prepare several small containers of “flax meal eggs” each night to use the next day. Here’s the recipe to replace 1 egg: Mix 1 tablespoon flax meal with 3 tablespoons hot water in a small container and let sit a few minutes to thicken. Cover and refrigerate overnight. Remove from the refrigerator as you prepare to bake. Place mixture in a small metal or glass bowl and whisk vigorously to increase its volume. Use this to replace 1 egg in your recipe. Increase recipe as necessary to replace up to 5 eggs. Brainpower, Boost Weight Loss, and Transform Your Health, is dedicated to helping protect our biggest asset: the brain. Nutrient-dense foods—fresh vegetables, leafy greens, nuts, olive oil, seafood and grass-fed meat and dairy—form the core of Ramsey’s overall approach to wellness. 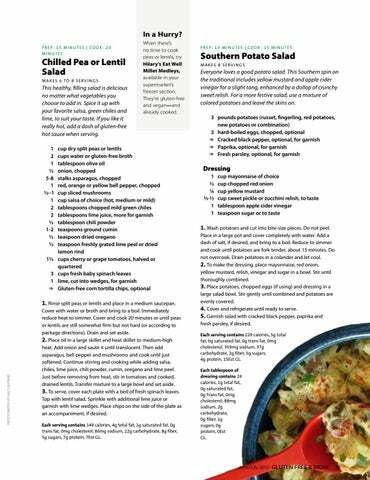 These recipes, excerpted from Eat Complete, show you how easy it is to put tasty, highnutrient gluten-free dinners on your table. This recipe is a foolproof way to hear “Now that’s a perfect steak!” Preheating the skillet is key, and cast iron is recommended—it gets hotter compared with other skillets, resulting in a nice sear. 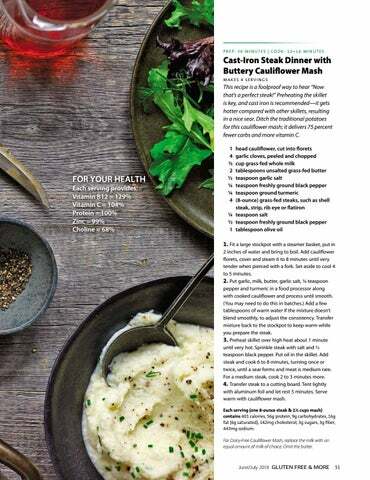 Ditch the traditional potatoes for this cauliflower mash; it delivers 75 percent fewer carbs and more vitamin C.
1. Fit a large stockpot with a steamer basket, put in 2 inches of water and bring to boil. Add cauliflower florets, cover and steam 6 to 8 minutes until very tender when pierced with a fork. Set aside to cool 4 to 5 minutes. 2. Put garlic, milk, butter, garlic salt, 1/4 teaspoon pepper and turmeric in a food processor along with cooked cauliflower and process until smooth. (You may need to do this in batches.) Add a few tablespoons of warm water if the mixture doesn’t blend smoothly, to adjust the consistency. Transfer mixture back to the stockpot to keep warm while you prepare the steak. 3. Preheat skillet over high heat about 1 minute until very hot. Sprinkle steak with salt and 1/2 teaspoon black pepper. Put oil in the skillet. Add steak and cook 6 to 8 minutes, turning once or twice, until a sear forms and meat is medium rare. For a medium steak, cook 2 to 3 minutes more. 4. Transfer steak to a cutting board. Tent lightly with aluminum foil and let rest 5 minutes. Serve warm with cauliflower mash. Each serving (one 8-ounce steak & 1½ cups mash) contains 401 calories, 56g protein, 9g carbohydrates, 16g fat (6g saturated), 142mg cholesterol, 3g sugars, 3g fiber, 443mg sodium. For Dairy-Free Cauliflower Mash, replace the milk with an equal amount of milk of choice. Omit the butter. hy be cooped up in the kitchen? These warmer days and nights are the perfect excuse to cook outdoors. And there’s almost no food that isn’t made better on the grill. Grilling is so versatile. Think beyond the usual suspects (burgers, hot dogs, chicken breasts) and use your grill to make tacos, salad and even soup. These recipes, which break away from hamburger’s long shadow, are guaranteed to get you all fired up. Grilling imbues wedges of romaine lettuce with smoky flavor and tender texture and it makes cherry tomatoes become impossibly sweet. Add a chunky vegetable-bean medley and a punchy pesto dressing, and you’ve got an extraordinary salad. 2. Lightly brush romaine halves with 2 teaspoons oil and season with salt and pepper. Place romaine halves cut-side down on grill and cook, turning once, until leaves are charred in a few places and slightly wilted, about 4 minutes. 3. Thread cherry tomatoes onto skewers and lightly brush with 2 teaspoons oil. (If using wooden skewers, soak them in water first for 30 minutes.) Grill, turning once, until tender and beginning to shrivel. Alternatively, cook in a grill basket 4. In a bowl, toss together grilled tomatoes, cucumber, bell pepper, parsley, olives, scallions and red wine vinegar. 5. To make pesto dressing, whisk together olive oil, pesto, red wine vinegar and garlic in a small bowl. 6. Transfer grilled lettuce, cut-sides up, to serving plates. Top with tomato mixture and drizzle on pesto dressing. Sprinkle with chickpeas, nuts or seeds and feta, if using. Each serving contains 316 calories, 9g total fat, 1g saturated fat, 0g trans fat, 0mg cholesterol, 122mg sodium, 50g carbohydrate, 17g fiber, 12g sugars, 16g protein, 18Est GL. Each tablespoon of dressing contains 58 calories, 6g total fat, 1g saturated fat, 0g trans fat, 0mg cholesterol, 37mg sodium, 0g carbohydrate, 0g fiber, 0g sugars, 0g protein, 0Est GL. 1. Build a medium-hot fire in a charcoal grill or heat a gas grill to medium-high. ith the wide variety of gluten-free, allergy-friendly snack bars available these days, why bother making your own? The answer is that fresh homemade bars are easy, delicious and budget-friendly. Plus, homemade is a great way to control ingredients. You decide how much sweetener to add. You pick the kind of dried fruit you like. The amount of fiber (think flax meal, oats, coconut and nuts) is in your hands. If you’re allergic to nuts, you can use sunflower seeds and sunflower butter instead. And you can pack extra protein into your bars, making them a healthy, filling snack or in a pinch, a grab-and-go meal. Price is a real consideration. The cost of my favorite packaged bars ranges from $1.25 to over $3 each, making homemade bars a true bargain. Yes, it’s wonderful to have so many different kinds of bars available. (See our top choices on page 64.) But if you want to control the cost, ingredients and flavor, try these delicious recipes. KEEP IT FRESH Wrap cooled bars individually in plastic wrap and store them in an airtight container or a zip-top bag up to 5 days. Freeze them for longer storage. aluminum foil or parchment paper. Lightly spray foil or parchment with vegetable oil to prevent bars from sticking. 2. In a large bowl, combine brown rice cereal, oats, protein powder, cocoa powder, chocolate chips, cherries and salt. Mix well. 3. In a small bowl, heat almond butter and honey in the microwave for 20 seconds and mix well. Stir in milk and vanilla. 4. Pour warm mixture over cereal mixture and stir until ingredients are evenly coated. Dough will be very thick. 5. Press dough evenly into prepared pan and refrigerate at least 30 minutes before cutting. Each bar containss 266 calories, 17g total fat, 2g saturated fat, 0g trans fat, 0mg cholesterol, 66mg sodium, 26g carbohydrate, 3g fiber, 10g sugars, 6g protein, 12Est GL. TIPS Use gluten-free rolled oats in these recipes, not steel-cut oats or quick oats. Cut the bars on a cutting board. Use a pizza wheel to slice them cleanly into equal pieces. 1. Preheat oven to 325°F. Line a large cookie sheet with aluminum foil or parchment paper, creating a 10x13-inch form. Lightly spray foil or parchment with vegetable oil to prevent bars from sticking. 2. In a large mixing bowl, combine cereal, raisins, sunflower seeds, coconut, cinnamon and salt. Mix well with a large spoon. 3. In a small bowl, warm honey and sunflower butter together in the microwave for 30 seconds. Mix well. Stir in vanilla. Pour warmed mixture over cereal mixture and stir until ingredients are evenly coated. 4. Press dough into prepared cookie sheet to evenly cover the 10x13-inch form. Square off edges using the foil or parchment. If necessary when pressing, use another sheet of foil or parchment to keep dough from sticking to your hands. 5. Place bars in preheated oven and bake 20 to 25 minutes or until golden brown. 6. Remove from oven and let cool before cutting. (Bars will crispen as they cool.) Each bar containss 255 calories, 12g total fat, 3g saturated fat, 0g trans fat, 0mg cholesterol, 88mg sodium, 38g carbohydrate, 3g fiber, 21g sugars, 5g protein, 20Est GL. Food editor Beth Hillson (bhillson@GlutenFreeAndMore.com) is a chef and cooking instructor. She is founder of Gluten-Free Pantry, one of the first gluten-free companies in the United States, and author of Gluten-Free Makeovers and The Complete Guide to Living Well Gluten Free (Da Capo Lifelong). Caveman Nutrition Bar Why We Love It  Inspired by the paleo diet, the Caveman ingredient list is packed with seeds and nuts. Bars come in tasty flavors that make us forget we’re eating like a caveman. We can’t get over our favorite combination of dark chocolate, nuts and cherries. If it was good enough for a caveman, it’s good enough for us! We taste-tested more than 100 bars from 30 different companies. The following bars are worth noting because they offer a unique flavor or some other interesting attribute. The allergy info listed below is representative of the whole line of bars. For specific product details (GF certification, price, nutrition per serving and more) on the “unique flavor” bar mentioned, see our chart (right). The five allergy-friendly bars listed on page 71 are also included in our chart. Prices can vary by store and region. Some prices shown are based on price per bar in box. N  utritional data was compiled from packaging, marketing materials or the company’s website. Manufacturers can change ingredients without warning. When in doubt, contact the manufacturer directly. Adapted from Gluten-Free Makeovers by Beth Hillson. Available from Da Capo Press, a member of The Perseus Books Group. Copyright © 2011. Used with permission. bite? Researchers were unclear about the underlying mechanism. They concluded, however, that ongoing climate change is likely to make these allergic reactions more common. The study was presented at the 2018 American Academy of Allergy, Asthma & Immunology and World Allergy Joint Congress. any other food-induced anaphylaxis. PICU admission due to anaphylaxis happened more frequently to children 6 to 18 years old. About 19 percent of patients required tracheal intubation, a treatment used less frequently in children aged 2 to 5. Researchers found that hospital admission for anaphylaxis happened more during the fall months. Other common causes of anaphylaxis included reactions to drug, blood products and venom. Urging better recognition, education and more rapid treatment of anaphylaxis, author Carla M. David, MD, said that “unassigned epinephrine at schools can be a huge tool,” calling it “an important initiative that should be supported.” The research was presented at the 2018 American Academy of Allergy, Asthma & Immunology and World Allergy Joint Congress. Use this chart as a guide to help select replacement gluten-free flours for all your baking. While not identical, the flours in each column have comparable baking characteristics and serve a similar function in building structure in recipes. If you can’t tolerate a certain flour or you’ve run out, find another flour in the same column (not row) and use it as a substitute. Depending on the recipe, replace 1 large egg with 1 of the following: Flax or Chia Gel: 1 tablespoon flax meal, ground chia seed or salba seed + 3 tablespoons hot water. (Let stand, stirring occasionally, about 5 minutes or until thickened. Use without straining.)  gg Replacer: Ener-G Foods E egg replacer or Follow Your Heart VeganEgg, according to package directions Aquafaba: See GlutenFreeAndMore.com/aquafaba Tofu: 4 tablespoons pureed silken tofu + 1 teaspoon baking powder Applesauce: 4 tablespoons unsweetened applesauce (or other fruit puree) + 1 teaspoon baking powder IMPORTANT! Replacing more than two eggs can change the integrity of a recipe. For recipes that call for a lot of eggs, like a quiche, use pureed silken tofu, if soy is tolerated. Because egg substitutions add moisture, you may have to increase baking times slightly. WHEAT FLOUR Use these GF Flour Blends to successfully replace wheat flour in most recipes. Note the guidelines (below) on adding xanthan or guar gum. To make a flour blend, thoroughly combine all ingredients. You can double or triple these recipes to make as much blend as you need. Store in a covered container in the refrigerator until used. Gluten-Free All-Purpose Flour Blend  M A K E S 3 C U P S Depending on the recipe, use this blend for most gluten-free baking. 1½ cups white or brown rice flour (or combination) 3/4 cup tapioca starch/flour 3/4 cup cornstarch or potato starch (not potato flour) Each cup contains 510 calories, 2g total fat, 0g saturated fat, 0g trans fat, 0mg cholesterol, 6mg sodium, 117g carbohydrate, 3g fiber, 0g sugars, 5g protein, 83Est GL. Gluten-Free High-Fiber Flour Blend  M A K E S 3 C U P S This high-fiber blend works for breads, pancakes, snack bars and cookies that contain chocolate, warm spices, raisins or other fruits. It is not suited to delicately flavored recipes, such as sugar cookies, crepes, cream puffs, cakes or cupcakes. Gluten-Free Self-Rising Flour Blend  M A K E S 3 C U P S Use this blend for muffins, scones, cakes, cupcakes or any recipe that uses baking powder for leavening. 1	¼ cups sorghum flour 1 cup white or brown rice flour (or combination) 3/4 cup tapioca starch/flour 4	teaspoons baking powder ½ teaspoon salt Each cup contains 495 calories, 3g total fat, 0g saturated fat, 0g trans fat, 0mg cholesterol, 863mg sodium, 110g carbohydrate, 7g fiber, 0g sugars, 10g protein, 71Est GL. Gluten-Free High-Protein Flour Blend   M A K E S 3 C U P S This nutritious blend works best in baked goods that require elasticity, such as wraps and pie crusts. Each cup contains 481 calories, 3g total fat, 0g saturated fat, 0g trans fat, 0mg cholesterol, 10mg sodium, 105g carbohydrate, 8g fiber, 0g sugars, 9g protein, 68Est GL. Each cup contains 462 calories, 3g total fat, 0g saturated fat, 0g trans fat, 0mg cholesterol, 17mg sodium, 100g carbohydrate, 5g fiber, 3g sugars, 9g protein, 66Est GL. casein-free diet has been found to be beneficial for a number of people for a variety of reasons. A gluten-free and casein-free (GF/CF) diet has provided positive results for many people diagnosed with an autism spectrum disorder, such as autism, Asperger’s syndrome, atypical autism and pervasive developmental disorder. Currently, there are no double-blind studies proving the efficacy of the GF/CF diet in autism spectrum disorders. Several open studies conducted in Europe and the United States do provide strong positive data. There is also voluminous anecdotal evidence on the efficacy of the dietary approach. When removing dairy from the diet, it is vital that adequate calcium and vitamin D be added in the form of fortified milk substitutes or acceptable vitamin and mineral supplements. Guidance from a qualified physician or nutritionist is strongly advised. Kosher is good Kosher pareve foods are casein free. Foods certified as kosher non-dairy or pareve are free of dairy proteins. Many non-dairy foods contain casein proteins. Avoid foods that contain any ingredient with casein or caseinate. • Be a food detective • Always read labels • If in doubt, go without • Call food companies if ingredients are suspect. 2018 Note: This guide is not meant to be an exhaustive resource. tissues, 24 percent), POTS* (24 percent), anxiety (24 percent) and GERD (24 percent). All presented with a skin complaint and 90 percent reported gastrointestinal symptoms. Foods, medications and stress/ anxiety were the most common reported triggers of symptoms. Researchers concluded that MCAS is a predominantly female disorder that most often presents with skin and gastrointestinal symptoms. They found a positive biomarker in two-thirds of the patients. Many questions remain about MCAS and further study is needed. The research was presented at the 2018 American Academy of Allergy, Asthma & Immunology and World Allergy Joint Congress. *For more about POTS (Postural Orthostatic Tachycardia Syndrome), go to GlutenFreeAndMore. com/POTS. Before it was understood that celiac disease could be treated with the gluten-free diet, it wasn’t unusual for young children who had the condition to waste away and die. Italian researchers wondered if the drop in mortality rates of celiac children under 5 over the past 20 years is contributing, at least in part, to the growing prevalence of the disease. They conducted a review of the medical literature to find out. Looking at rates of celiac disease in school children from 1995 to 2011, they discovered the drop in the death rate of kids under 5 with celiac disease mirrored the increased rate of the condition. Thus, with fewer children dying of the disease, its prevalence was growing. The team concluded that the number of people with celiac disease will increase as faster diagnoses, new developments and the gluten-free diet continue to ensure the survival of kids who have the disease. The study was published in the Journal of Pediatric Gastroenterology and Nutrition. ere is a simple overview of the gluten-free diet. Not all areas of the diet are as clear-cut as portrayed by this guide. This is intended to be used as a temporary survival tool until additional information can be obtained. Understanding these dietary requirements will enable the newly diagnosed to read labels of food products and determine if a product is gluten-free. Celiac disease is a life-long genetic disorder affecting children and adults. When people with celiac disease eat foods that contain gluten, it creates an immune-mediated toxic reaction that causes damage to the small intestine. This does not allow food to be properly absorbed. Even small amounts of gluten in foods may affect those with celiac disease and cause health problems. Damage can occur to the small bowel even in the absence of symptoms. Gluten is the generic name for certain types of proteins contained in wheat, barley, rye and their derivatives. Research indicates that pure, uncontaminated oats consumed in moderation (up to 1/2 cup dry oats daily) are tolerated by most celiacs. Gluten-free oats (purity protocol) are currently available in the United States. Consult your physician or dietitian before including oats in your diet and for regular monitoring. ➥ Grains not allowed in any form Wheat (Einkorn, Durum, Faro, Graham, Kamut, Semolina, Spelt), Rye, Barley and Triticale. Call First You can verify ingredients by calling or e-mailing a food manufacturer and specifying the ingredient and the lot number of the food in question. State your needs clearly—be patient, persistent and polite. If In Doubt, Go Without Don’t eat a food if you are unable to verify the ingredients or if the ingredient list is unavailable. Regardless of the amount eaten, if you have celiac disease, damage to the small intestine occurs every time gluten is consumed, whether symptoms are present or not. Wheat Free Is Not Gluten Free Products labeled wheat free are not necessarily gluten free. They may still contain spelt, rye or barleybased ingredients that are not gluten free. Spelt is a form of wheat. ➥ What about alcohol? Distilled alcoholic beverages and vinegars (except malt vinegar) are usually gluten-free. Distilled products do not contain any harmful gluten peptides unless a gluten-containing flavoring is added after distillation. Wine is gluten-free. Unless labeled otherwise, beers, ales and lagers are NOT gluten-free. The key to understanding the gluten-free diet is to become a good label reader. Don’t eat foods with labels that list questionable ingredients unless you can verify they do not contain or are not derived from prohibited grains. Labels must be read every time foods are purchased. Manufacturers can change ingredients at any time. Wheat used in products is identified on the label. Products bearing “gluten free” on the package must contain less than 20ppm gluten. 2018 Note: This guide is not meant to be an exhaustive resource. ■	No Peanuts, No Nuts	✱	Nuts can be omitted or substitutions provided. ■	Low Sodium	Recipe contains 140mg of sodium or less per serving. ■	Egg-Free	✱	Egg-free substitution instructions provided. ■	Low Sugar	Recipe contains 5g of sugar or less per serving. ■	Dairy-Free	✱	Dairy-free substitutions provided. ■	Soy-Free	✱	Soy-free substitutions provided. Icons (or colors) identify recipes that are most appropriate for certain eating goals. 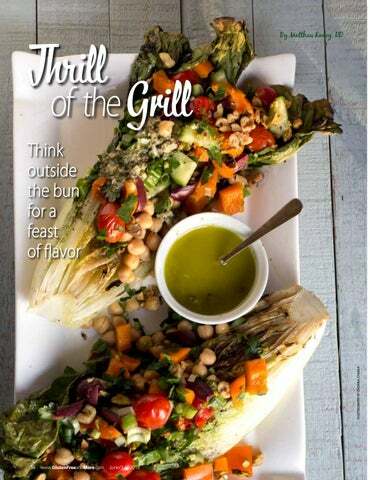 ■	Gluten-Free All recipes in this magazine are gluten-free. IMPORTANT: Read the labels of all processed foods that go into your recipe, such as broths, condiments, sausages, chocolate chips, etc., to make sure they do not contain any allergen you need to avoid. Manufacturers can change their ingredients without warning. When in doubt, contact the manufacturer directly. For a list of companies that offer gluten-free, allergy-friendly ingredients used in these recipes, refer to the Shopping List included in the article. Why be cooped up in the kitchen? These warmer days and nights are the perfect excuse to cook outdoors. And there’s almost no food that isn’t made better on the grill. What’s the gluten-free cook to do when there’s a vegan in the house? Arm yourself with delicious and nutritious recipes like this one. You can keep the whole family well fed without doubling the workload.